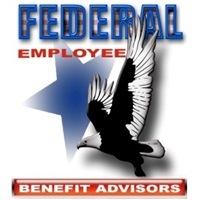 Federal Employee Benefit Advisors offers all-encompassing services for our clients. Our reputation thrives on our high-level of customer satisfaction. When our clients are truly confident in their financial stability, we have done our job. Whether you are experienced in the world of financial matters or are just starting to build your portfolio, Federal Employee Benefit Advisors can help you every step of the way. We provide benefit advice and solutions! Mitchell & Associates Financial LLC and Federal Employee Benefit Advisors LLC are regulated by the Missouri Department of Insurance as an insurance company and are NOT endorsed or affiliated with the Social Security Administration or any other government agency. Mitchell & Associates Financial LLC and Federal Employee Benefit Advisors LLC is not an investment advisory firm and is not registered with, or supervised by, the U.S. Securities and Exchange Commission or any state securities regulatory office. Mitchell & Associates Financial LLC and Federal Employee Benefit Advisors LLC and its agents only recommend products for which a client or customer has met stringent suitability requirements under State Law, and equal or greater than requirements of the carrier or custodian. Suitability is only determined through direct communication with a licensed agent, and no product is represented, warranted or recommended until a consumer has had direct contact with a licensed agent. This is not an offer or solicitation for brokerage services, investment advisory services, or other products or services in any jurisdiction where we are not authorized to do business, or where such offer or solicitation would be contrary to the laws of that jurisdiction. Website viewers should visit the disclaimer page for all legal disclosures regarding the website and the content herein. All case studies reflect actual clients whose names are protected for compliance with privacy statutes and regulations. Any reference to stock performance is based upon historical data that is public sourced. Past performance does not guarantee future performance. No statement made is to suggest stock market performance or future performance, and no case study is used to imply future performance or testimonial. All claims are subject to the claims paying ability of the custodian of the account. Any case study which implies testimony is only in reference to customer service satisfaction and not investment performance. No investment advice is rendered and all information is educational in nature.